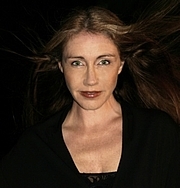 Traci Harding is an Australian novelist. Her work combines fantasy, facts, history and esoteric beliefs. She has recently sold the film rights to two of her books, The Ancient Future and The Alchemist Key, with both expected to begin production in 2009. She was born and raised in Carlingford, a western suburb of Sydney, Australia. Harding states that her early interests were, "music, boys, daydreaming and storytelling". After leaving school she first pursued an interest in music. Later she started writing stories, novels, and then film scripts. Traci Harding is currently considered a "single author." If one or more works are by a distinct, homonymous authors, go ahead and split the author. Traci Harding is composed of 1 name.